With its coupe-like roofline, athletic curves, and compelling colour choices, this Sports Activity Coupe warrants every bit of the attention it commands. Muscular, flared wheel housings accentuate the character of a vehicle that seeks routes off the beaten path. M sport brakes included as standard, this rugged rogue is ready for anything. The All-New X4 boasts the latest BMW driving technology. Standard BMW navigation system delivers directions via the 10.25-inch iDrive touchscreen, while Apple CarPlay integration offers enhanced infotainment. And the available Head-up Display projects vital driving details directly in your line of sight. 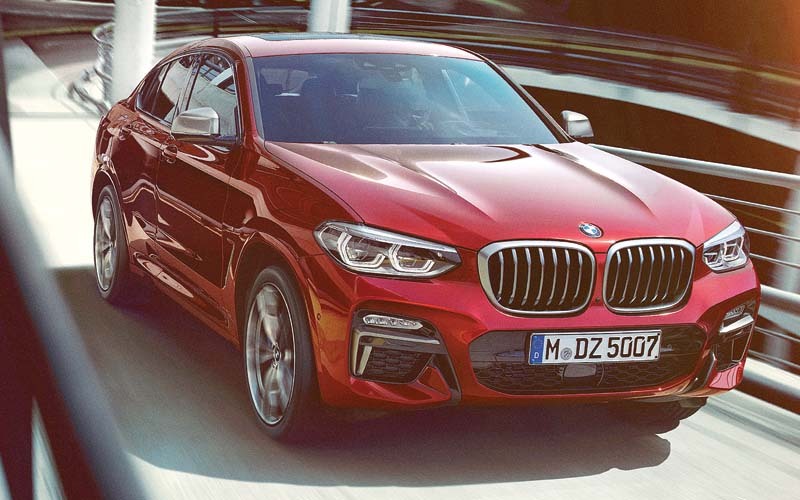 The 8-speed sport automatic transmission, standard on all X4 models, provides quick shifts at any speed – especially when taking the X4 M40i from 0 to 60 in just 4.6 seconds. Three exciting driving modes allow you to tailor the responsiveness of the vehicle to match your drive. The All-New X4 has also introduced an optional Gesture Control to the Sports Activity Coupe family. This innovative feature, available with the premium package, allows you to adjust infotainment volume, accept or reject calls, and interact with the iDrive system with a few simple hand movements. 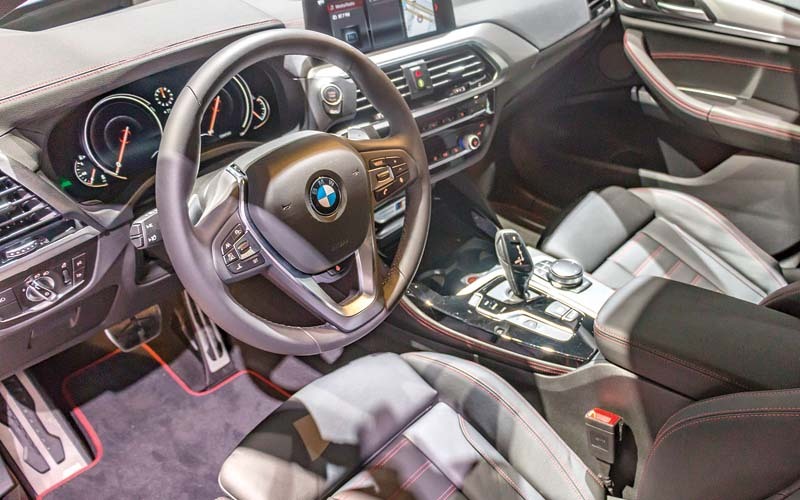 The All-New X4 combines comfort and functionality in a striking interior. The standard Sport seats can be upholstered with available Vernasca leather; Merino leather is also available for the M40i. Front and rear heated seats and front ventilated seats are available to add comfort to the cabin on rugged rides. Set the perfect course with BMW navigation, included as standard. The intuitive interface includes a responsive touchscreen and natural language understanding for maps and infotainment – so you can easily find anything from routes to radio stations. The latest evolution of BMW’s mighty inline 4-cylinder twinpower turbo displaces just 2.0 litres and provides an output of 248-hp. A maximum 258 lb-ft of torque is reached at just 1450 rpm, for the potent thrust that kicks in right from the start and continues all the way up to 4800 rpm. Lightweight and smooth-running, it incorporates BMW’s award-winning high precision direct injection, valvetronic, and double-VANOS technologies.